Emily Carscadden is our Club’s choice for outbound exchange student for the 2012-2013 school year. Emily is eldest of two sisters and attended Lethbridge Collegiate Institute. For her final year of study. Emily will be attending school in Mazatlan, Mexico -- her departure is slated for August 13. She will be returning a year older and many years wiser. Our club’s expectation is that she will be an outstanding representative for CANADA and return with many stories, a good many of which will be in Spanish. Emily enjoys guitar among other avenues of interest. 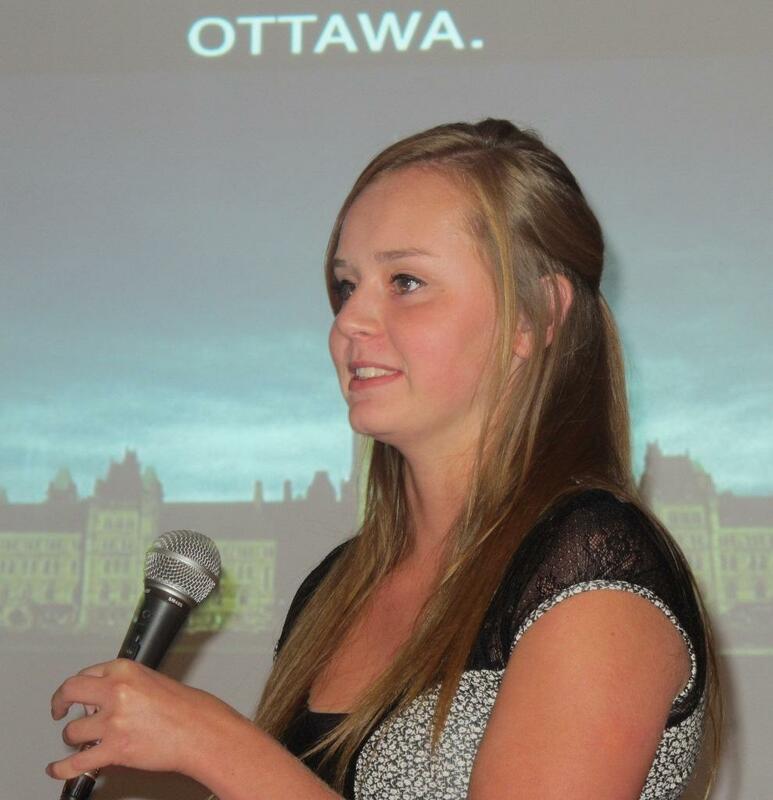 She receives high marks in school, is self-assured and is a good public speaker. Time for her will go much quicker than she expects. Prior to departure, Emily’s excitement was palpable. She has never done anything out of her comfort zone like this before. With a rock-solid family behind her and the full auspices of Rotary to watch over her, Emily will be free to experience the ups and downs of a young teenager learning another culture. More importantly, she is going to learn about herself. Our club will follow her blog and it has been broached that we will entertain a few SKYPE calls throughout her year during our regular Club meetings. Good Luck Emily. Work hard at being an Ambassador for your country. We are excited for you and expect to be even more excited at your return.